Magnificent quality home or great investment opportunity in a sought after location! 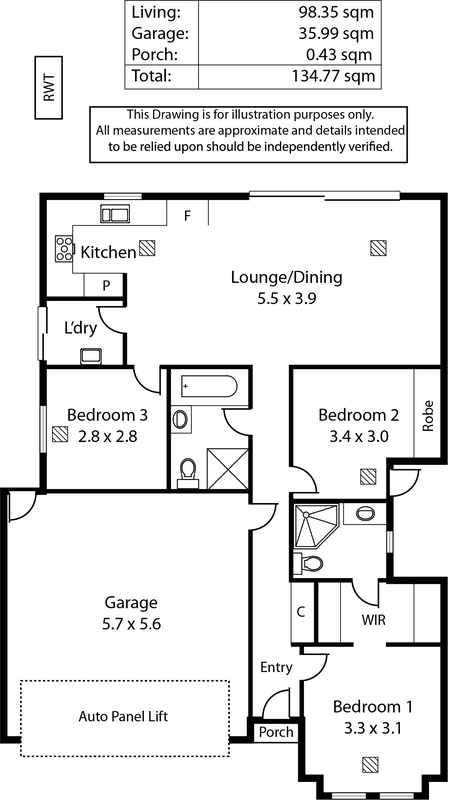 Presenting this A class three-bedroom home at AllChurch. This beautiful home looks brand new and has been built to perfection with upscale amenities, stylish granite tile at the entrance and premier Timber flooring, double garage and ducted reverse cycle air conditioning. This is where quality meets convenience. As you enter the house and walk through the hallway, you are greeted with the spacious master bedroom with walk in robes and ensuite, followed by second bedroom with built in robes and private patio. The open plan encompassing the kitchen, living and family dining areas leads into the outdoor area with aggregated concrete flooring and low maintenance backyard. The gourmet kitchen features Caesar stone bench tops, stylish rangehood and 900mm gas stove and electric oven overlooking the backyard. Both the indoor and outdoor areas create a seamless entertainment area, perfect for enjoying a relaxing lunch/dinner or BBQ with family and friends. The third spacious bedroom can be used as an office or accommodate a double bed. With plenty of transport options including bus and tram, this home is ideal for families, young professionals, downsizers or astute investors looking for perfect location. Built in 2017, this fully appointed home is situated in a sought after location and within close proximity to Adelaide CBD (6.5km) or Glenelg beach (6km), Kurralta Central shopping centre, local cafes and restaurants, parks, schools and public transport. At a recent report, Suburb of Plympton was named the most liveable suburb in Adelaide. This home is 4 minutes (2.4km) away from Plympton. This is a rare offering of great quality, style and location. The search is over, make the move today and come and see this beautiful home or Call Suzanna Paul today.